The greatest environmental threat facing humanity is human induced climate change and its associated effects such as ocean acidification. It is imperative that we rapidly reduce our consumption of carbon based fuels. Nuclear power plants produce emission free electricity which also means greenhouse gas-free. One of the great ironies of the modern environmental movement is that many of its organizations wholeheartedly embrace the conclusion that climate change will be catastrophic and that there is little time left to counter it, while simultaneously working to shut down nuclear plants which currently provide the worlds only demonstrably scalable, zero-carbon energy source. When challenged about the inconsistency, they often claim the electricity eliminated by closing nuclear will be replaced by ‘renewable’ energy. Current experience shows this is false and that displaced production is replaced by fossil fuels; predominantly in the form of natural gas. For example, according to the California Air Resources Board, the closing of the San Onofre nuclear power station resulted in an annual increase of CO2 emissions of 9 million tons from the burning of natural gas to replace the abandoned nuclear facility. Just for fun let’s imagine how much CO2 that is. Solid CO2 is known by its common name of dry ice. It takes 200 million cubic feet of dry ice to provide 9 million tons of CO2. That’s the equivalent of 54 Empire State Buildings. Of course, dry ice does not exist naturally on the planet earth. CO2 only exists as a gas. As a gas, that much CO2 would fill more than 463 Empire State Buildings. Remember, this is the annual additional carbon pollution cost of closing just one nuclear plant. The CO2 pollution is probably the worst effect of burning natural gas given its causative relation to climate change. There are, however, many other negative effects that are often overlooked. Burning natural gas produces nitrogen oxides (NOx) which are precursors to smog. All natural gas production results in methane leakage. According to a Sept 2017 article in Chemical & Engineering News, “methane traps 86 times as much heat as does carbon dioxide over a 20-year period, leaking just 2–3% of the gas can wipe out its environmental benefits over coal.” A single leak, the Aliso Canyon methane leak, was alone responsible for more than 100,000 tons of methane release. Finally, burning vast quantities of natural gas produces economic pressure to find and extract more gas leading to a great increase in the demand for, and amount of, “fracking”. Fracking has been implicated in groundwater and surface water contamination as well as an increase in earthquake frequency. Most of the environmentalists lobbying to close of Diablo Canyon, Indian Point, Three Mile Island (yes that is still an operating nuclear power plant), Palisades, and Pilgrim consider climate change to be the biggest threat we face. They agree that to successfully combat it we need to decarbonize our energy production at a rate that has rarely, or perhaps never, been achieved. They broadly claim that we can do it exclusively, or almost exclusively using renewables; which generally means solar and wind. Given the track record of prior closures, that seems unlikely. But, even if they are correct, if we close a plant like Diablo Canyon and magically replace it with wind, solar, and storage, we have still not made ANY progress on the climate challenge. Progress on the climate means we are reducing the amount of carbon fuel we’re burning. If there is a carbon based power plant that could have been displaced by that wind, solar, and storage, we have done the climate a disservice by closing a zero-carbon power source instead! Let’s face it, given the challenges we’ve had showing even meager carbon reductions using renewables, and given the huge scope of issues that have been identified as challenges to a primarily renewable solution, betting on renewables is the kind of gamble that would make a Las Vegas bookie blush. 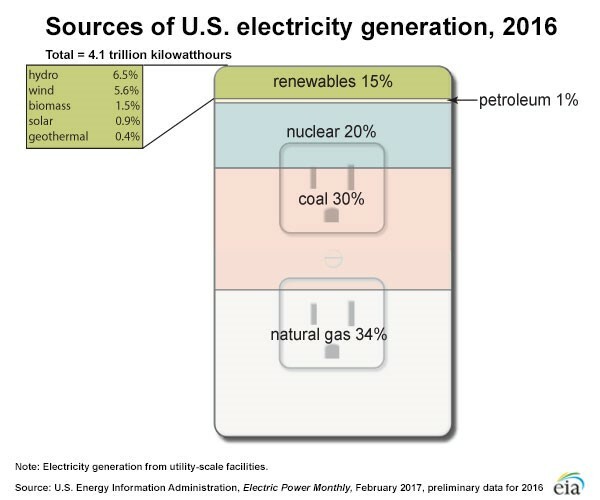 Of course, we won’t replace the 18,941 GWh of annual electricity from Diablo Canyon with wind, solar, and storage, we will replace it with natural gas, we will increase fracking, and increase the chance of a dismal future for my kids and yours. Where do you live? We have been working for over 4 years to keep Diablo open. CPUC just agreed Jan 11 to allow closure, but we fight on. We are up against the whole fossil fuel mega machine. Only youth who have most to lose can stop them. Youth may have to die like stopping Viet Nam. Everyone is tied into the fossil fuel network except youth. Time is very short.